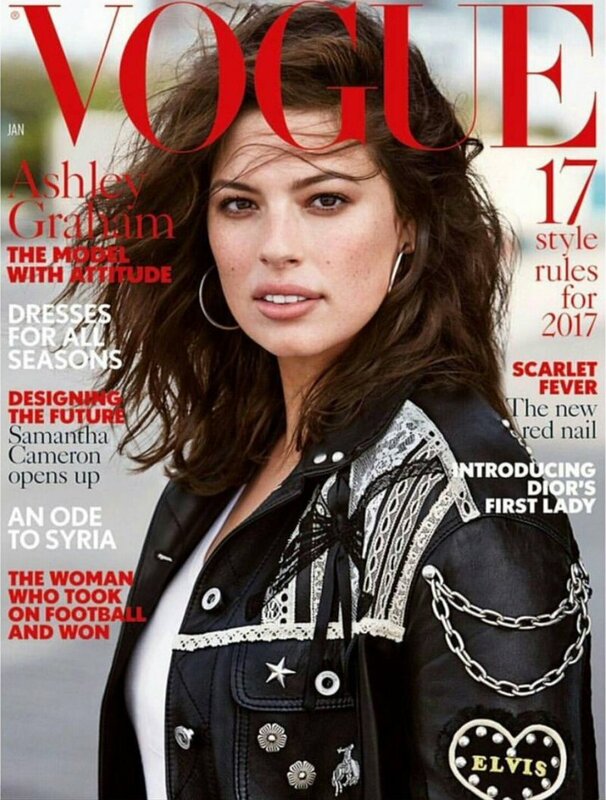 Ashley Graham fronts the January ’17 issue of British Vogue. 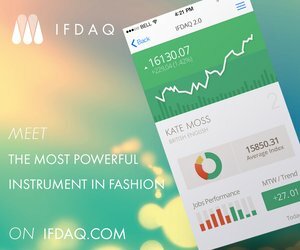 Marking her first cover for the Fashion Bible, the 28-year-old plus size model was lensed by Patrick Demarchelier. Wearing a leather-studded jacket by Coach and a plain white V-neck shirt, Graham looks at the camera. She accessorized the look with large earrings and open hair. 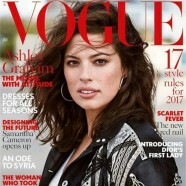 According to Vogue editor-in-chief Alexandra Shulman chose Graham to front the first issue of 2017 not because of her size but because she is articulate, has an opinion worth listening to, and an infectious energy that anyone who has worked with her in the fashion industry will attest to. Read the full interview, and see the accompanying shoot from January Vogue available on newsstands.